infrastructure and the bridges over the River Thames are a key part of that story. Find out the reasons for their construction and the difference they made to the city. The River Thames at London is the most-bridged river in any major city. 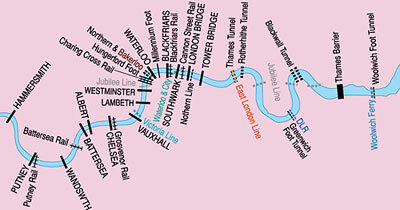 There are 18 road bridges, nine rail bridges and three footbridges in Greater London.